At HHD, our team of highly experienced and specialist lawyers are dedicated to providing an excellent and professional service in all areas of family law. Proactive and sensitive to the challenges you may face, we work with you to ensure delivery of a timely and responsive outcome. At HHD we have a team of experienced specialist divorce and family Solicitors including Damian Deazley, Jenna Boyce and Catherine McReynolds dedicated to providing an excellent and professional service in all aspects of family law and we represent clients throughout Belfast and Northern Ireland. We have one accredited member of the specialist Children Order Panel, Northern Ireland Guardian Ad Litem Agency Panel and Association of Collaborative Lawyers. We also attend on a voluntary basis to support and provide legal services to Women’s Aid Northern Ireland One Stop Shop. At HHD we appreciate that any breakdown of a relationship is stressful and a difficult time for you. Stress and anxiety can be compounded by the thought of having to contact a Solicitor or family lawyer for legal advice especially where children are involved. Our experienced and approachable team of divorce lawyers can ease the burden by providing a welcoming consultation to discuss your options. No case is the same. It is important that the best family law advice is sought as soon as possible in order that you understand the decisions that need to be made and what approach to take. As specialist solicitors based in Belfast but with clients throughout Northern Ireland, we can provide sensible, cost efficient and practical advice to guide you through this process. On what grounds can I get divorced? How will the money be divided? (or telephone 02890 770770) to arrange a free initial consultation. In any case when seeking legal advice, the issue of how much it may cost is at the forefront of a client’s mind. We recognise this. At an initial consultation we shall discuss your options and advise you of the likely costs involved. We can assess your eligibility for legal aid. If you are not entitled, we can organise flexible payment options and fixed fee rates. We strive to offer excellent standards of client care to support you through the process with one to one case responsibility from one of our dedicated team to enable you to achieve a resolution in the best interests of yourself and your family. On what grounds can I have my civil partnership dissolved? Do I have to pay the mortgage if I am not living there? My name is not on the deeds for the house. Do I still have a share in the property? At HHD we appreciate that any breakdown of a relationship is stressful and a difficult time for you. When any relationship breaks down, there will inevitably be financial issues that arise. Most applications for maintenance pertaining to children are made through Child Maintenance Services. However, the Courts may also have the power in certain circumstances to make orders for child and spousal maintenance by way of lump sum or periodical payment orders, subject to certain grounds being satisfied. Our experienced and approachable team of family lawyers can ease the burden by providing a welcoming consultation in order to discuss your options. No case is the same. It is important that the best family law advice is sought as soon as possible in order that you understand the decisions that need to be made and what approach to take. As specialist solicitors based in Belfast but with clients throughout Northern Ireland, we can provide sensible, cost efficient and practical advice to guide you through the process. 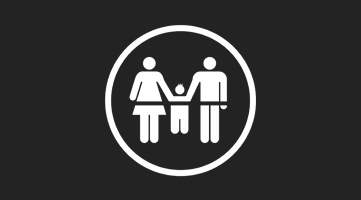 How much child maintenance will I be entitled to in order to provide for my children? My former partner / spouse has no contact with our children- is he/she still obliged to pay child maintenance? Am I entitled to any spousal maintenance in respect of myself? Do I have to apply through Child Maintenance Services? At HHD we appreciate that any breakdown of a relationship is stressful and a difficult time for you. Unfortunately domestic violence can feature as a cause in the breakdown of a relationship. The thought of having to seek any professional assistance from a Solicitor or Police can cause additional stress and anxiety. This is especially so where children are involved. 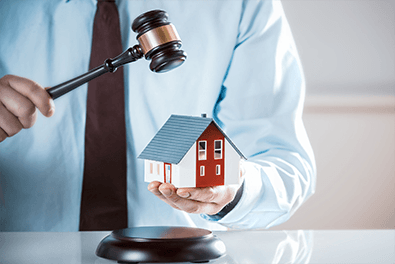 As experts in this area, we have the knowledge and experience to ensure that you can apply for the full protection from the Court that the law affords you. Often emergency legal advice is required in cases where a domestic violence incident has occurred. Our experienced and approachable team of family lawyers can ease the burden and where the emergency protection of the Court is sought, provide a urgent consultation. No case is the same. It is important that the best family law advice is sought as soon as possible in order that you understand the decisions that need to be made and what approach to take. As specialist solicitors based in Belfast but with clients throughout Northern Ireland, we can provide sensible, cost efficient and practical advice to guide you through the process. We also work closely with Women’s Aid NI, Domestic Violence Officers from the PSNI and Social Services to ensure that you receive the best support for yourself and your family. I have been assaulted what can I do? I am being harassed, what can I do? How can I keep my violent partner / relative out of the house? How do I get a Non-molestation Order/Restraining Order? At HHD we appreciate that any breakdown of a relationship is stressful and a difficult time for you. Stress and anxiety can be compounded by the thought of having to contact a Solicitor or family lawyer for legal advice especially where children are involved. Our experienced and approachable team of family lawyers can ease the burden by providing a welcoming consultation to discuss your options. No case is the same. It is important that the best family law advice is sought as soon as possible in order that you understand the decisions that need to be made and what approach to take. As specialist solicitors based in Belfast but with clients throughout Northern Ireland, we can provide sensible, cost efficient and practical advice to guide you through the process. Public law –these are proceedings involving social services. Private law – these proceedings often involve issues such as; name change, custody, visitation, access, maintenance, change of child’s religion/school, moving away from the jurisdiction, adoption and other issues affecting the child. We act for parents, grandparents, and other family members in such areas. My partner/ spouse and I have separated- who will the children live with? How often can I see my children? My spouse will not allow me to have overnight contact with my children- do I have to agree to this? I am not named on my child’s birth certificate- can I apply for a contact order in respect of my child? Do I have parental responsibility? How can I obtain parental responsibility for my child? I am a grandparent- do I have grandparents’ rights to have contact with my grandchild? 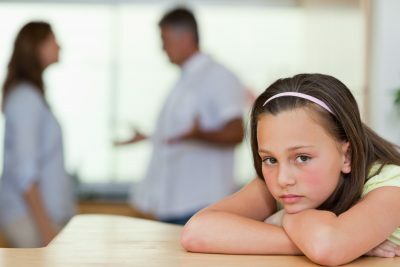 I do not feel that contact between my child and my ex-partner/ spouse is in my child’s best interests- what can in do? Social services are involved with my family, what do I do? Can Social Services take my children from me? Can I change my social worker? Can I have my children returned to me from Social Services?